Most SEO data is output behind the scenes in the source code for you site. So, how do you know if [XYZ] feature is working? Check the source code by following the steps below. You can, also, check the source code of your sitemaps, admin pages, and pretty much every page that your browser can display. As with most things on a desktop, there are a number of ways to get to the same spot. So if the steps below don’t work, try these alternate options. View the page you want to see the source code. 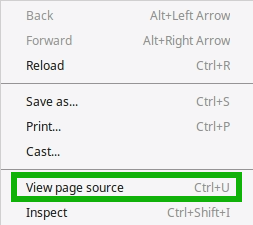 Right click the page and click on ‘View Source’. Click on Safari menu > Preferences > Advanced. 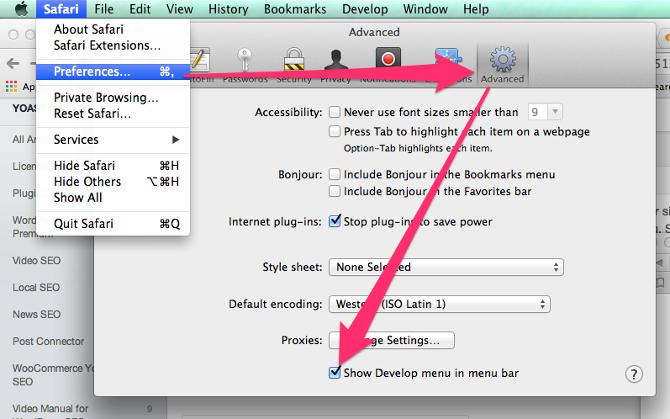 Check “Show Develop menu in menu bar”. 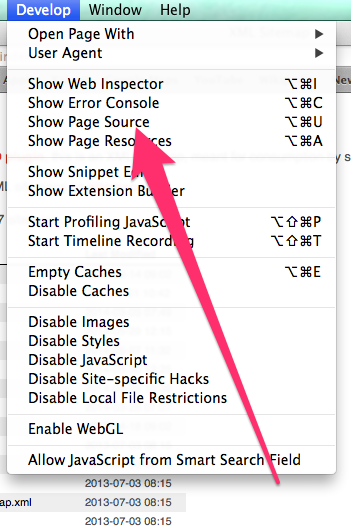 Go to the Develop menu > Show Page Source. 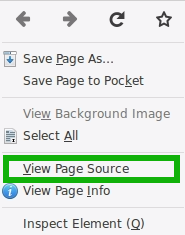 Please contact the support team for your browser for information on how to view page source.